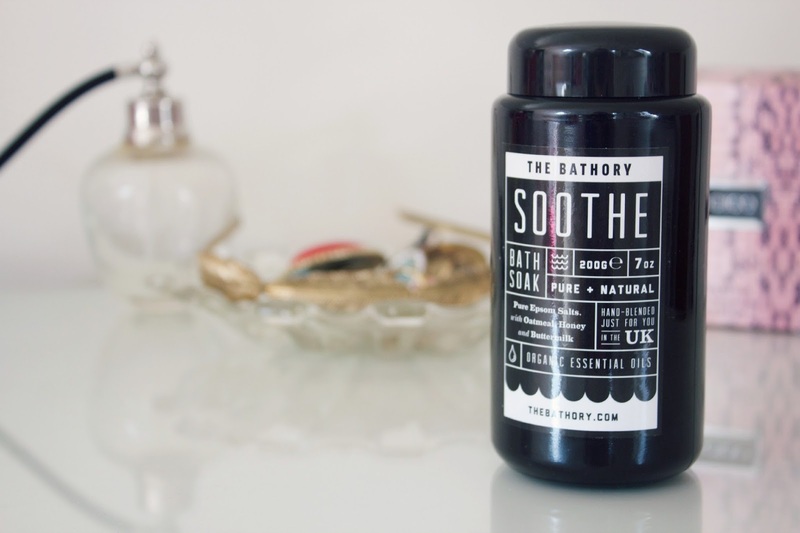 I was really excited when I was asked by The Bathory if I wanted to try one of their bath soaks, you can pick exactly what you want to put in your soak and personalise it to you! Firstly you pick a salt mix, either "Bask" "Soothe" or "Detox." I chose "soothe" as it contains oatmeal, buttermilk and honey! 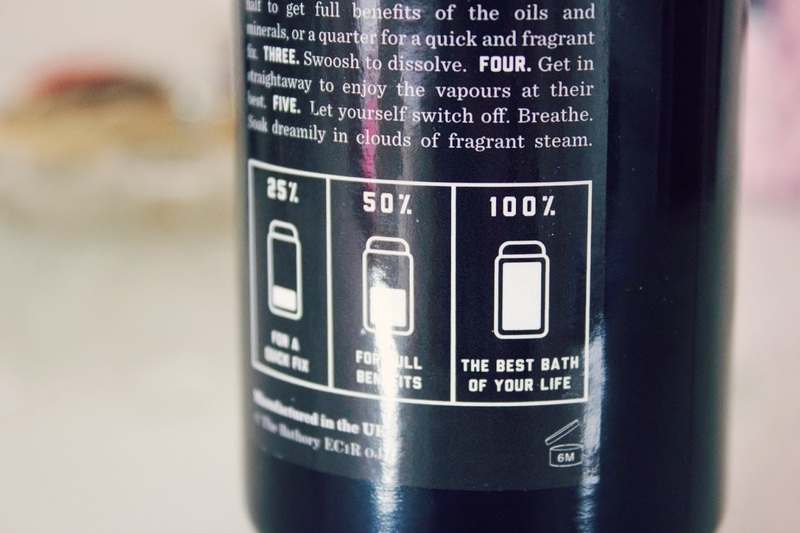 You then choose three oils, there are so many options to choose from, I chose Chamomile, Eucalyptus and Grapefruit! You then place your order, I was so impressed with how quickly it was delivered. 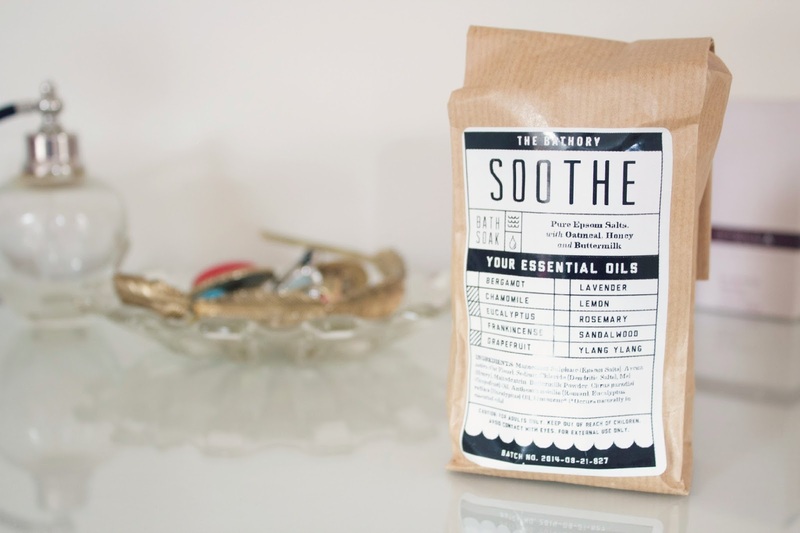 I really love the packaging of the product, it is packaged in a brown paper bag with a label on containing the ingredient list and the details of what oils and salts are in it. 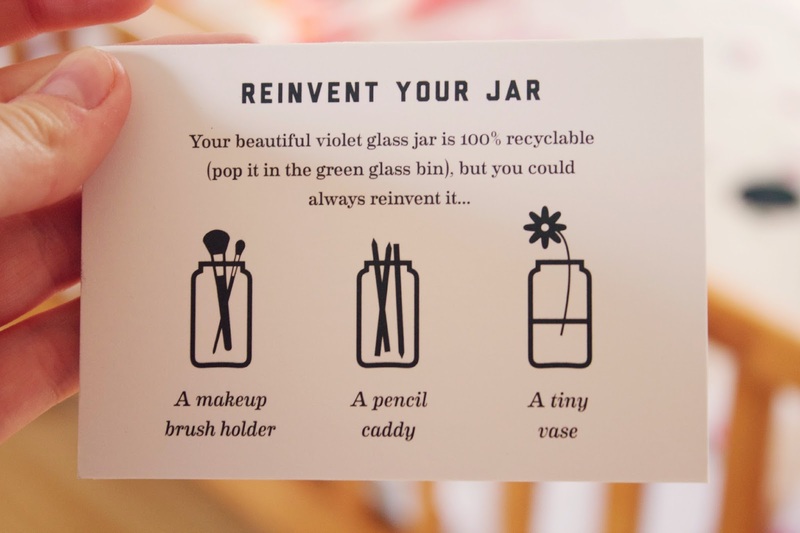 I also really love the jar, it's an iridescent purple colour which I think is really pretty and as the little piece of card says, you can use it afterwards as a makeup brush holder or even a vase! The actual product is a powder which I wasn't expecting! I actually thought it would be more like a liquid, you simply just pour it into the bath, I use about three teaspoons. You then just 'swoosh' it around the bath to mix it in, it goes a sort of cloudy, milky colour. The smell reminds me of a spa, it was incredible! I preferred it so much to using normal bubble bath as it was so calming! The bottle says you can put the whole jar in the bath or 50 % or 25%, as I wanted to get as many baths out of it as I could, I only used the three teaspoons. I don't have baths frequently, I'm more of a shower girl. I bath about once or twice a month so this will last me a long time but obviously if you bath everyday or more often you will go through it quicker. I really love this product and think that as you can pick which salts and oils you want, it would make a perfect gift for someone! 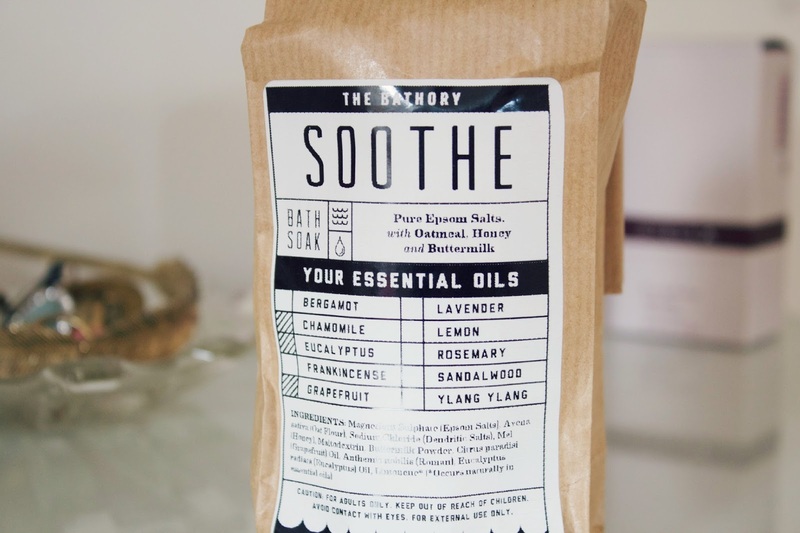 What do you think of this bath soak? Id lvoe to try these! I'm so tempted to get some of these! Your mix sounds so lovely, I'd definitely get Soothe too.